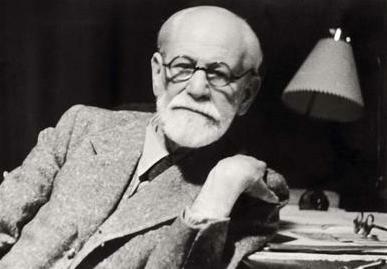 The thesis of God as a “father-wish” originated with the publication of Sigmund Freud’s main critique of religion, The Future of an Illusion (1927). This thesis has been widely discussed and analyzed; only some highlights will be reproduced here. 1. It is impossible to deny that “wishing for God” is a perennially recurrent phenomenon; even atheist Friedrich Nietzsche displayed this tendency: “I hold up before myself the images of Dante and Spinoza, who were better at accepting the lot of solitude… [and] all those who somehow still had a “God” for company… My life now consists in the wish that it might be otherwise… and that somebody might make my “truths” appear incredible to me” (Kaufmann, trans., The Portable Nietzsche, p. 441). “…a cultural fashion is immensely significant, no matter what its objective value may be; the success of certain ideas or ideologies reveals to us the spiritual and existential situation of all those for whom these ideas or ideologies constitute a kind of soteriology” (Mircea Eliade, Occultism, Witchcraft, and Cultural Fashions: Essays in Comparative Religion, p. 5). Cf. also the extensive documentation by Paul Vitz of New York University of socio-psychological correlates to affirmation of atheism in Vitz, Paul, The Faith of the Fatherless. This entry was posted in Philosophy, Philosophy of Religion, Psychology, Psychology of Religion, Theology and tagged Freud's critique of religion, Is Belief in God a Delusion, Philosophy of Religion, Psychology of Religion, Sigmund Freud, The Future of an Illusion. Bookmark the permalink. This is a wonderful piece, would it be okay if I used if as a handout for my students? Thanks, and yes you may use it as a handout; we hope you (and/or they) will share any reactions. Could there be another angle? A Jesuit by the name of Miceli once wrote a book entitled _The Gods of Atheism_, in which he notes that the great “atheist” thinkers in fact end up deifying something or other (Historical Necessity, for example, in the case of Marx). I’ve noticed that for most “atheists” I’ve known, there’s some Number One or “Ultimate Concern” (much as I don’t really see myself as a Tillich fan). Could it be that the “atheist” is in fact an idolator who is either to lacking in self-awareness or too disingenuous to name his [little] god?